The lovely brick Andrew Low House combines Grecian details with elements of the Italian Villa style and boasts one of Savannah’s most stunning ironwork balconies. A shuttered piazza overlooks a beautiful brick-walled garden in the rear of the home. The front garden remains much as it did when first planted, with two hourglass-shaped flowerbeds. Handsome inside as well as the out, the Andrew Low House features spacious rooms decorated with beautiful plaster cornices and carved woodwork. Know that I write from the most comfortable quarters I have ever had in the United States. In a tranquil old city, wide stretched, tree-planted, with a few cows and carriages rolling through the sandy road, a red river with a tranquil little fleet of merchant men taking cargo, and tranquil ware-houses barricaded with packs of cotton; a famous good dinner, breakfast, etc. and leisure all morning to think and do and sleep and read as I like. The only place I stay in the United States where I can get these comforts — all free gratis — is in the house of my friend Andrew Low of the great house of A. Low and Co, Cotton Dealers, brokers. 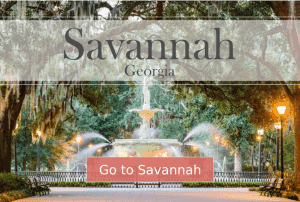 In 1870, Robert E. Lee, former commander of the Army of Northern Virginia paid a visit to Savannah with his daughter, Agnes. The general left the train to face one of the largest crowds that ever assembled to welcome him. Cheer followed cheer. As soon as the crowd would permit, Lee was driven to the home of General Lawton, at the corner of York and Lincoln Streets. Later in the evening he was taken to the Andrew Low House, where he was to sleep. The Lowes invited some of Lee’s old comrades to dinner on April 2. General Joseph E. Johnson, General Andrew Lawton and General J. F. Gilmer came to pay their respects. It was the first time Lee had seen Johnson since the war. Before leaving Savannah, Lee paid a visit to Joseph Johnston, who was then living at 105 E. Oglethorpe Avenue. At some point during his stay, Lee and Johnston were photographed together at Ryan’s, a local photography studio in downtown Savannah. The familiar picture shows them, “grizzled, old and feeble,” seated on opposite sides of a small table. That spot of spots! That place of places!! That city of cities!!! Andrew Low’s son, William Mackay Low, married Juliette Gordon in 1886. 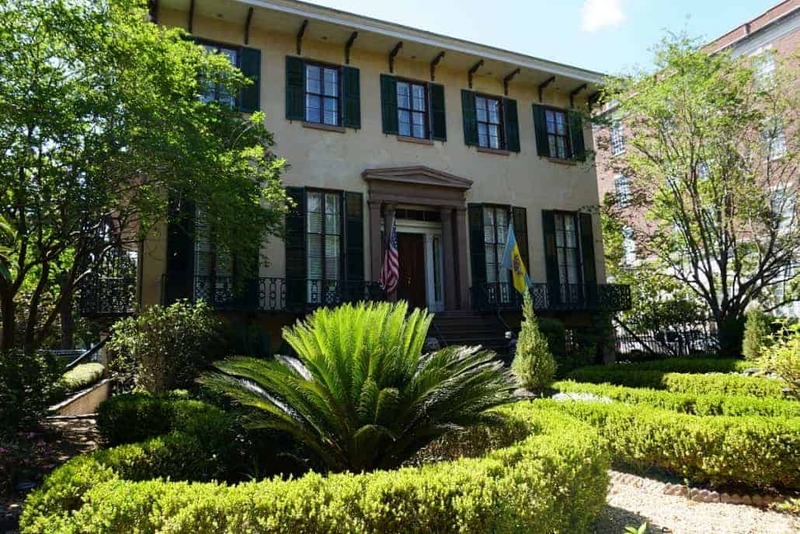 Juliette, commonly known as Daisy, moved in the family home on Lafayette Square. It was here that the widowed Juliette founded the Girl Scouts of America. Daisy had become friends with General Robert Baden-Powell, former of the Boys Scouts of England. Baden-Powell and his sister, who had formed a society of “Girl Guides” in England, inspired Daisy to found a similar organization in the United States. She formed two such groups of girls in Savannah in 1912. Members of the Girl Guides, later known as the Girl Scouts, held their meetings in Daisy’s carriage house. Juliette Gordon Low died in 1927 and bequeathed the carriage house to the Savannah Girl Scouts. The National Society of the Colonial Dames in Georgia purchased the Andrew Low House in 1928. After painstaking restoration, the Colonial Dames used the home as their headquarters, and officially opened the home to the public in 1952.